At the far end of one of Ticino’s wildest valleys lies the Alpe Salei, on nearly 1800 meters above sea level on the ridge between the Onsernone- and Vergeletto Valley. It is a place of tranquility and peace. From the hilltops of Munzelüm or Zucchero around the alp the views reach all the way back to the Maggia Delta and Lake Maggiore. 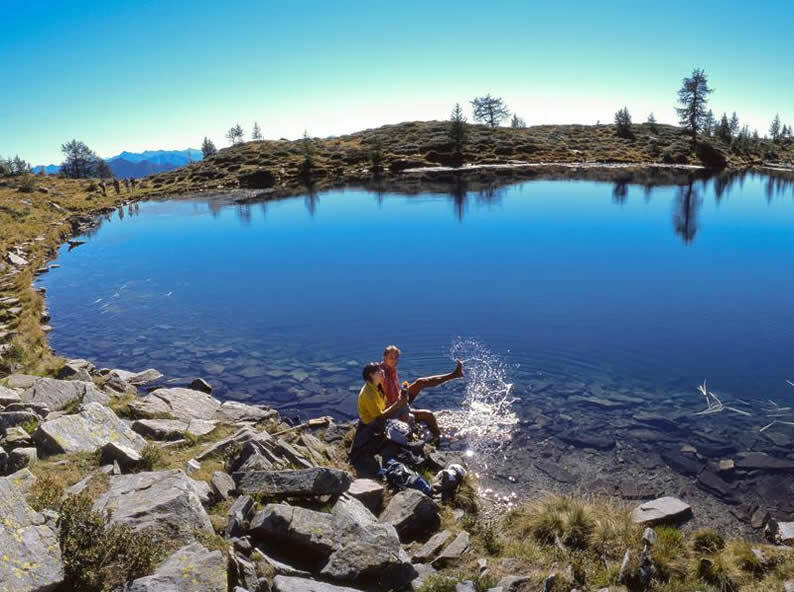 Beneath Munzelüm’s slopes, between heaps of stones, meadows and rhododendrons, lies the charming alpine lake of Salei (1924m), ideal to take a refreshing bath in hot summer days. Alpe Salei is a guarded alpine hut, open from May until October, with gastronomic offers and beds for 20 people. Alpe Salei can be reached by taking the Gondola that runs from Vergeletto. 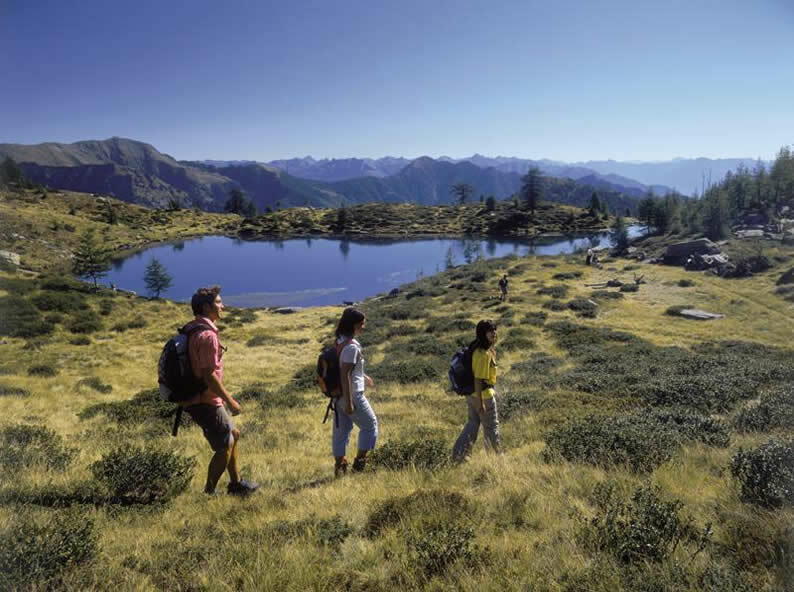 But there are also nice hiking opportunities to and from Salei, from Vergeletto valley, or from the Onserone valley side from Comologno and Spruga. 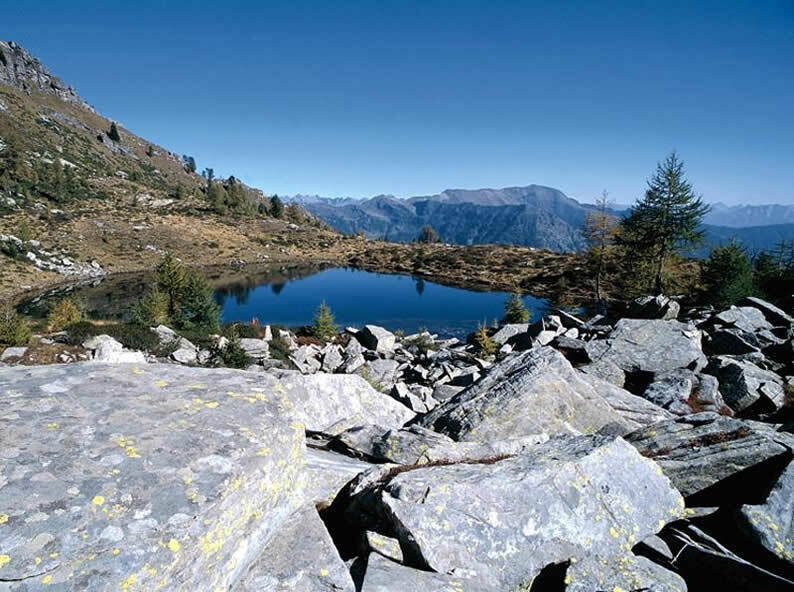 The trails pass through small clusters of Rustici and a rugged and typical alpine landscape. The Onsernone valley is rich in cultural history. The most extraordinary sight is close to Spruga, but actually just across the border in Italy: The ruins of the thermal baths of Craveggia. They have been renovated recently and it’s possible to take a bath in a rock pool in the basement. Onsernone valley has been a preferred place for “dropouts”, among the most famous residents was Max Frisch. And there are old mills in Loco and Vergeletto, who produce the unique corn flour “Farina Bona”. Spruga, Comologno and the Cablecar station in Vergeletto can get reached by public transport, coming from Locarno.